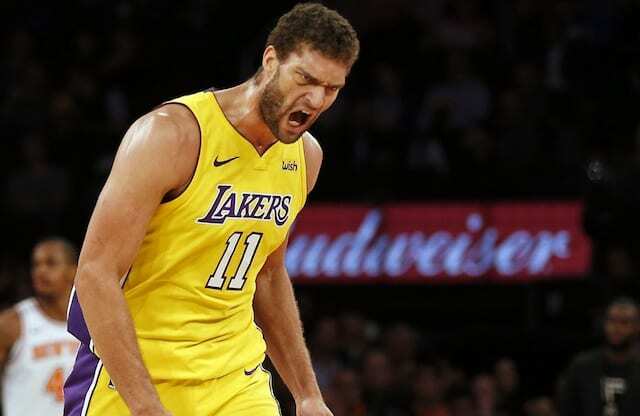 Through the early stages of his NBA career, Los Angeles Lakers center Brook Lopez had ongoing foot issues that forced him to miss significant time. That had been a thing of the past in recent years, however, as Lopez played in at least 72 games in each of the past three seasons. Monday night was a cause for concern unfortunately as Lopez turned his right ankle while trying to challenge Kevin Durant’s shot. Lopez immediately went down to the floor and had to be helped off by teammates. While not the same as his previous injuries, it is on the same foot that Lopez has had multiple surgeries on in the past. Lopez underwent an X-ray Monday night that came back negative and now he has also undergone an MRI. Brook Lopez had an MRI confirm a moderate ankle sprain in his right ankle. Lopez will be reevaluated in 3 weeks. The minutes at center can be dispersed between Randle and Nance, and get Kuzma more PT at the 4. Alternatively, when LAL go big, Walton has Bogut, Zubac + T. Bryant. The projected timeline means Lopez will not take the court again until January, in a best-case scenario. That’s particularly troublesome for the Lakers considering the daunting stretch on the schedule. Lopez has been up and down so far for the Lakers this season, at least offensively. He is averaging only 12.8 points per game and shooting just 44.4 percent from the floor and 29.7 percent from 3-point range. He has been effective defensively, however, as Lopez leads the Lakers with 1.6 blocks per game, good for eighth in the NBA. 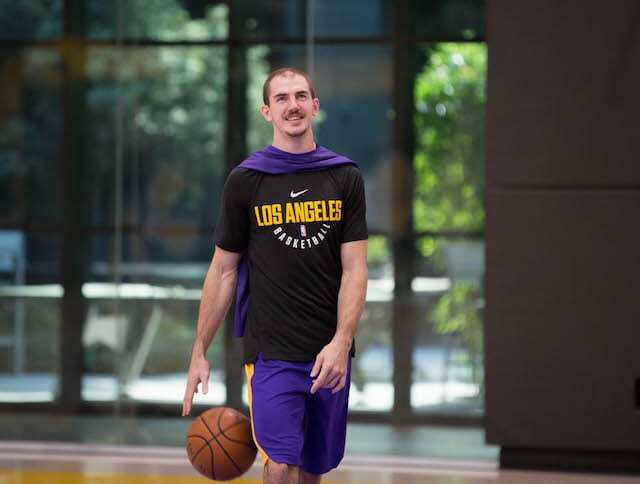 With Lopez out, Lakers head Luke Walton will have some choices to make regarding the rotation. He went small with Kyle Kuzma starting the second half of Monday’s game against the Warriors. Kuzma, along with Larry Nance Jr. and Julius Randle could all see an uptick in minutes. Walton will also likely turn to either veteran Andrew Bogut, or perhaps rookie Thomas Bryant for minutes in Lopez’s absence as well.